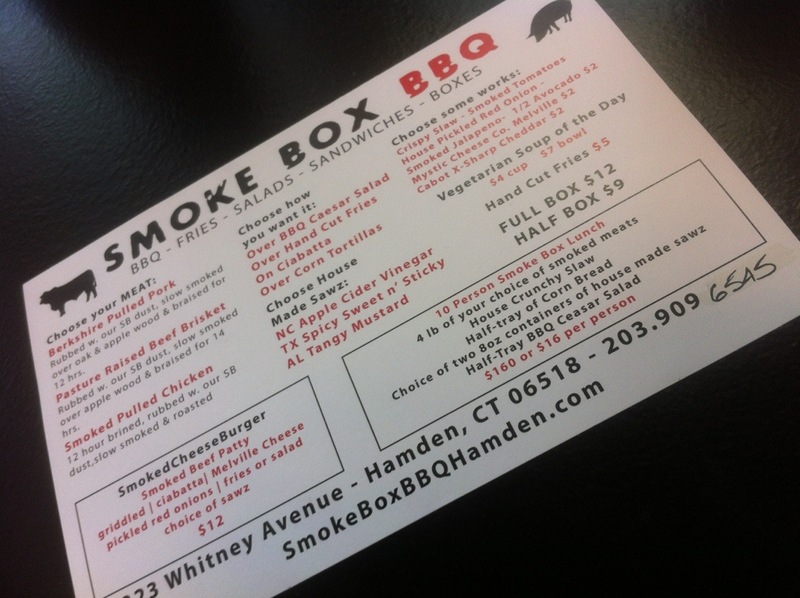 There’s a new addition to Whitney Avenue in Hamden you should check out for lunch – Smoke Box BBQ! 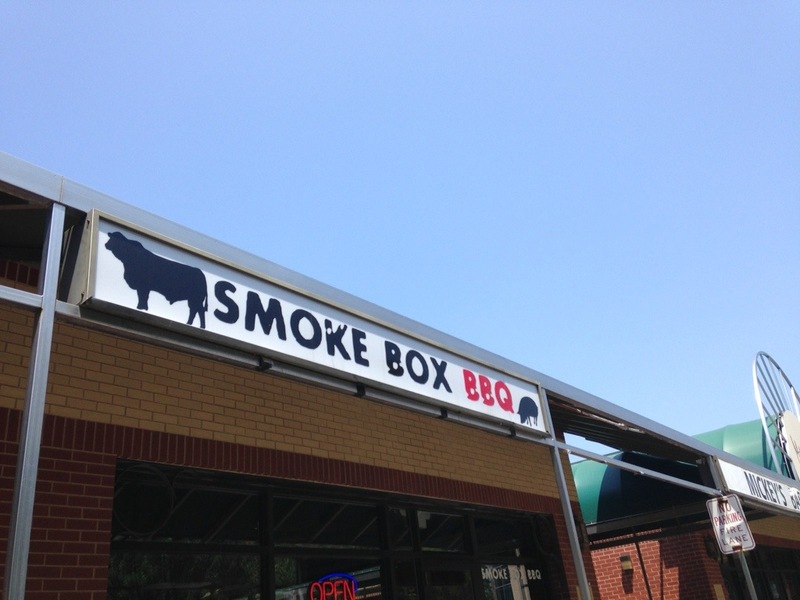 You’ll know you’re close to Smoke Box BBQ as you drive down Whitney Avenue because the smell of barbecue fills the air. Seriously. Just follow your nose! 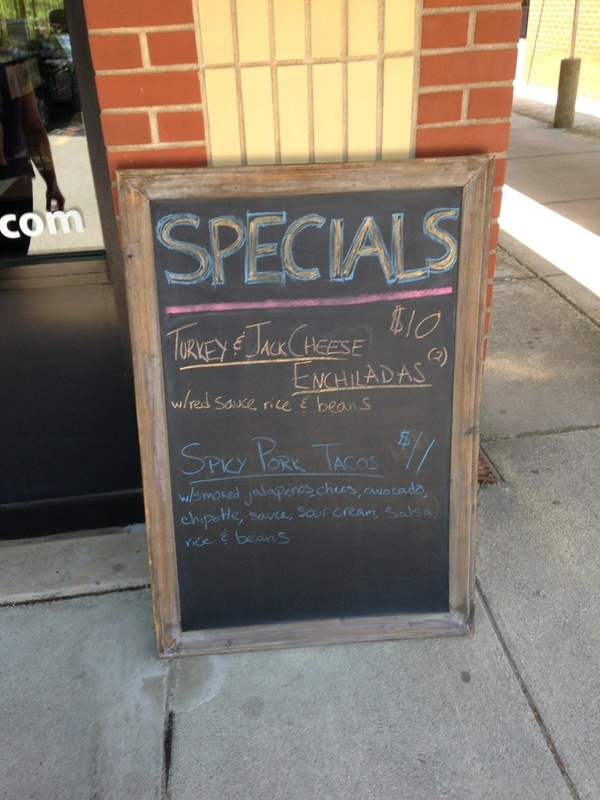 I found out about Smoke Box BBQ through Instagram (check them out- @smokeboxbbq) where they regularly post pictures of daily specials and different menu combinations you can create. 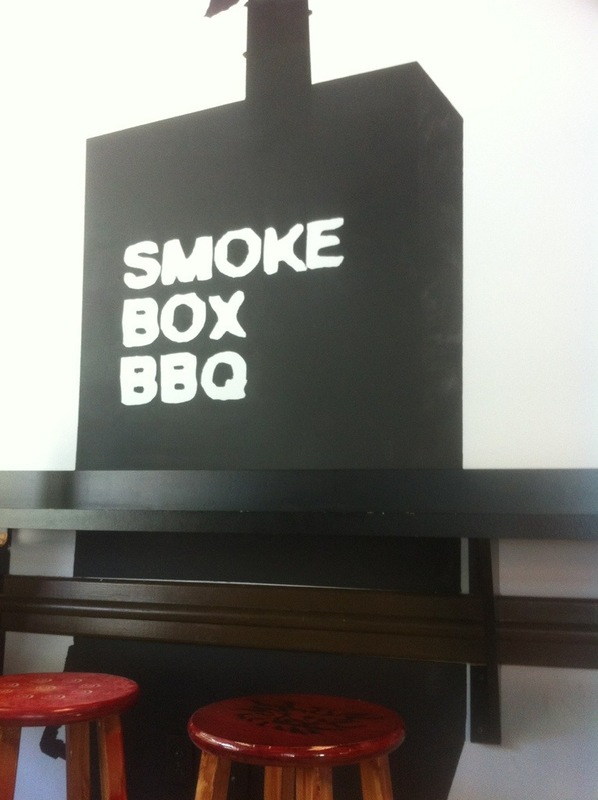 The idea behind Smoke Box BBQ? We chatted with the staff who explained during our visit that aside from bringing delicious slow smoked BBQ to Hamden, Smoke Box BBQ was started to supply its sister business Ordinary New Haven with BBQ when Caseus’ small kitchen (another sister establishment in New Haven) couldn’t keep up with the demand. 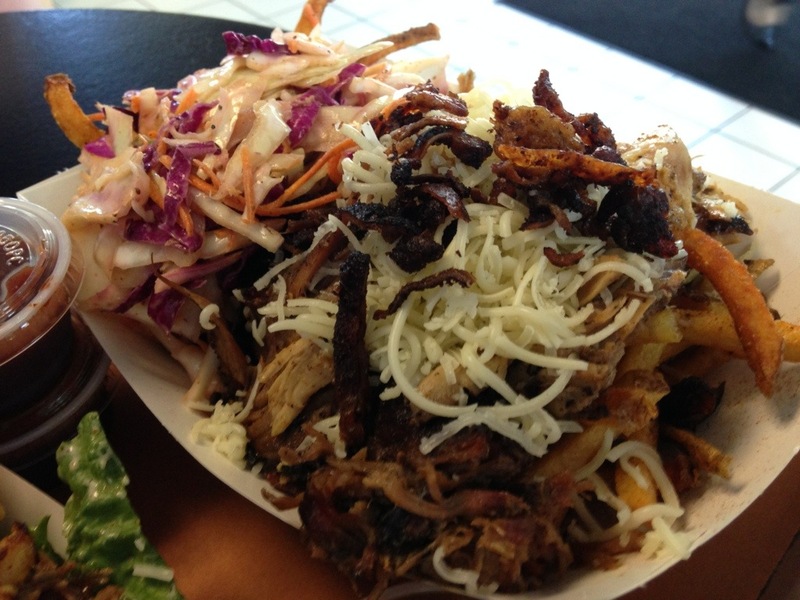 Smoke Box BBQ slowly smokes high quality meats over oak and apple wood chips and makes all their sauces and sides from scratch. 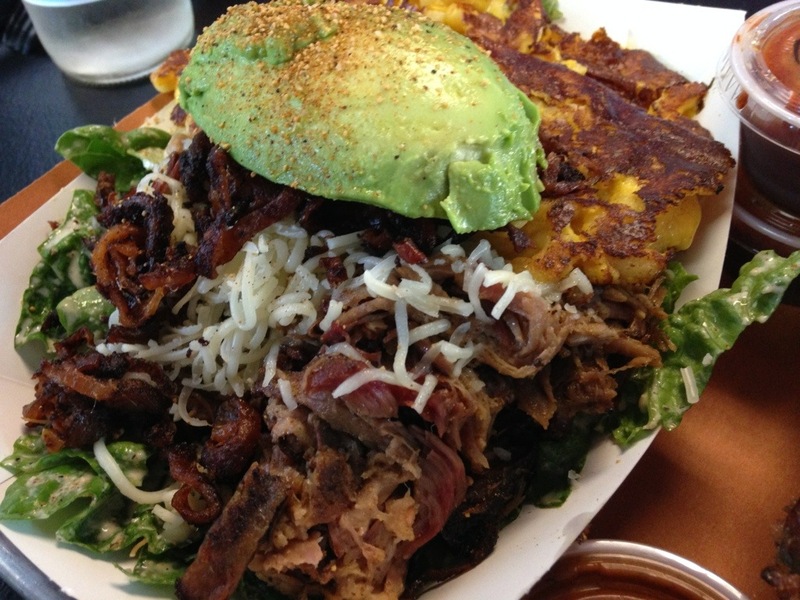 In case you haven’t guessed it yet, this is some amazing barbecue! 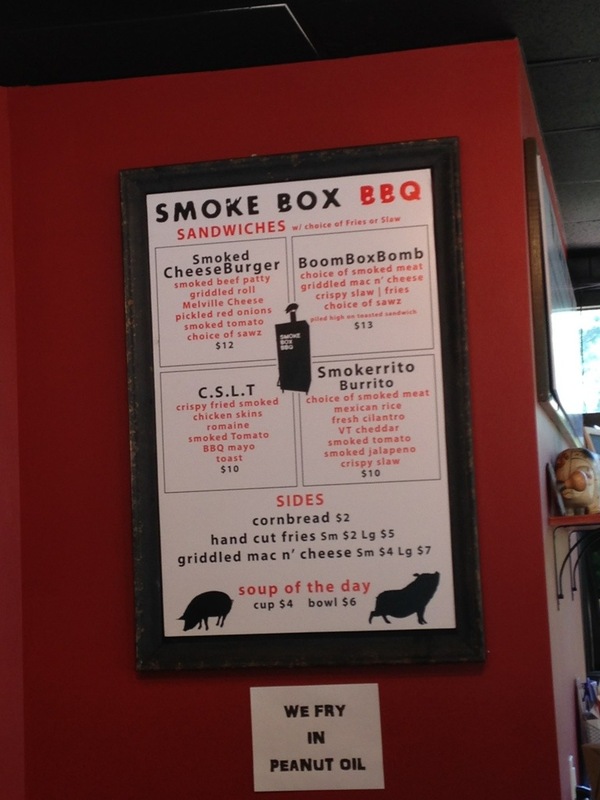 There are a few steps to the menu so you can customize your own smoke box, and the staff is very friendly and happy to help you figure out all your options. Also, the boxes come in two sizes – full box for $12 or half box for $9. Once you pick your meat (or two or three), next you get to choose if you’d like the meat on Ciabatta or over BBQ Caesar Salad or hand cut fried or corn tortillas. Smoke Box offers crispy slaw (a vinegar based slaw), smoked tomatoes, house pickled red onions, and smoked jalapeños, and, you ready for this bacon lovers?! – chopped crispy chicken skin bacon. And for an additional $2 each you can add 1/2 avocado, Mystic Cheese Co. Melville cheese, or Cabot extra sharp cheddar cheese. Still looking to add some more? 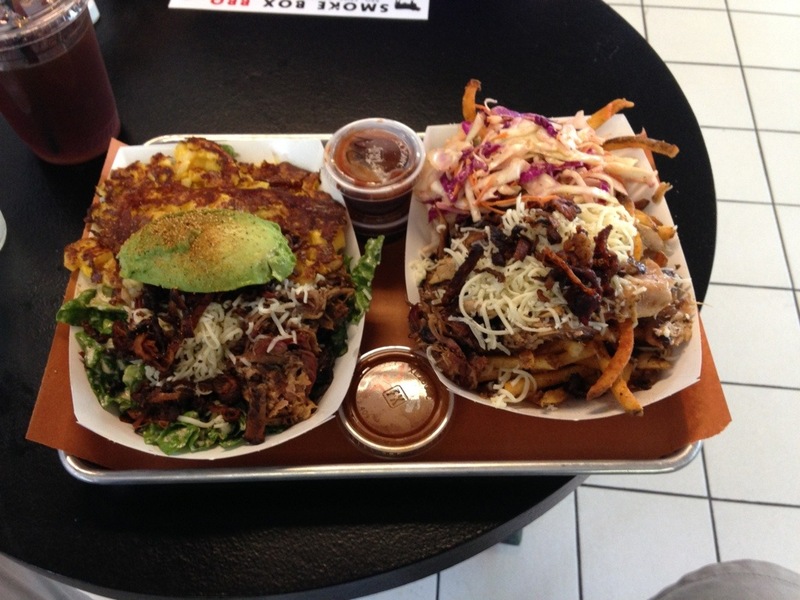 Smoke Box offers corn bread, grilled mac n’cheese, and handcut fries as additional sides, and a soup of the day. Also, you can choose from four sandwiches: Smoked Cheeseburger, Smokerito Burrito, Boom Box Bomb, and the C.S.L.T, and don’t forget the daily specials. Basically, this menu offers so many options for you to customize that you might feel slightly overwhelmed at first (we were) and then just pile on everything that sounds good (we did!). I have to admit it’ll be hard not to add the whole menu at this point to your box! After some help from the staff, my husband and I created these two beautiful Smoke Boxes! My husband’s smoke box contained all three meats (pulled pork, beef brisket, and chicken) with all three sauces on the side over fries with Cabot extra sharp cheddar, chopped crispy chicken skin bacon, and slaw. North Carolina Apple Cider Vinegar, Texas Spice Sweet n’Sticky, Alabama Tangy Mustard – and decided it’s really a matter of preference, or you can try all three like we did. 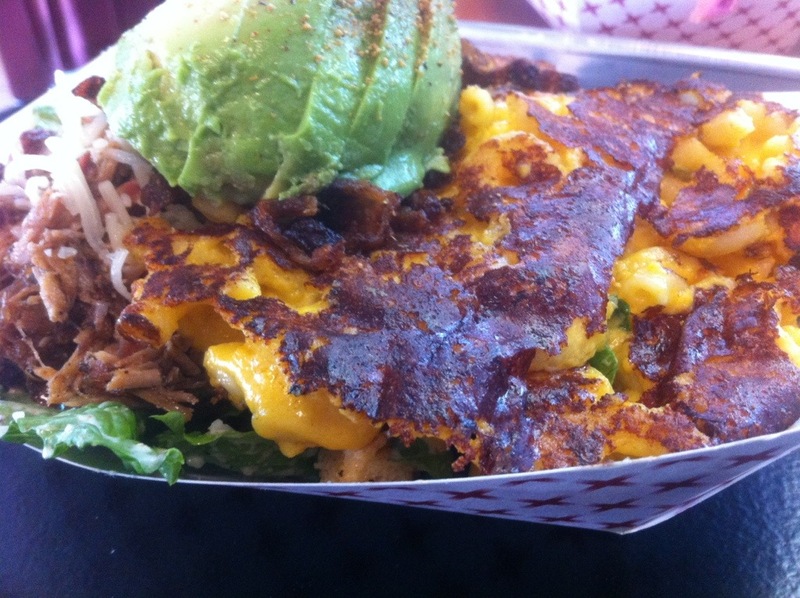 I had to include a close up of the grilled Mac n’Cheese. This was my first experience with grilled Mac n’Cheese and I don’t know what took me so long! The grill gives the Mac n’Cheese some added flavor and, most importantly, it changes the texture a little on the outside so you have the soft, gooey, cheesy macaroni inside and a slightly crunchy grilled crust on the outside. 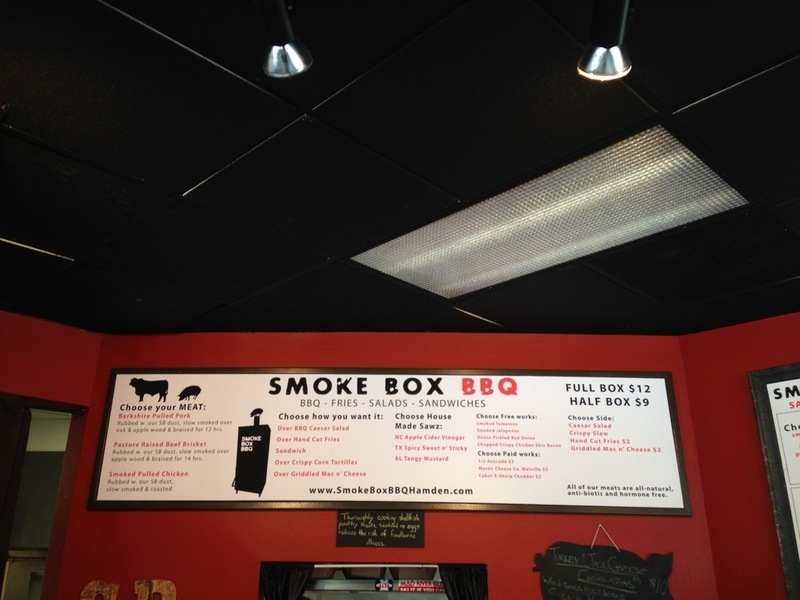 Head on over to Smoke Box BBQ and they’ll help you create your own box of barbecue goodness! Washington Prime, Eating + Drinking Well Is Coming to South Norwalk!